I was feeling great and much more relaxed after such a good run. And then, just before leaving for class, I got the sweetest e-card from my sweetie….just to tell me that he’s thinking of me through all of the stress of finals. Did I get a good one or what?! That made my day! I must look like a mess lately. I even got out of bed the other night to write something down for my stats report so that I wouldn’t forget it in the morning! I’ve been having trouble sleeping, and poor Dave hasn’t seen me in makeup and real, non-sweats clothing, in quite some time. By the time he gets home from work, I have been home from class for a couple hours and have changed out of my school clothes for my “study uniform.” I took a picture of myself today to show my very thoughtful hubby that the woman he married, the one who wears makeup and real world clothes, still exists! 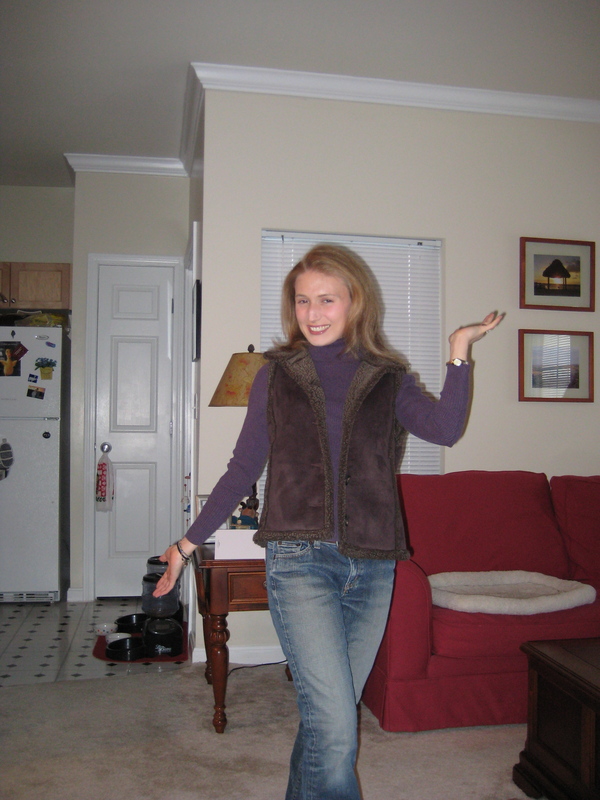 What could top such a super run and such a loving gesture….I finished my last chem lab of the semester today! (I am just not going to think about the 3 more semesters of chem labs that I have to go…) I came home and wrote up the lab report and did my chem homework for the week. All that’s standing between me and the end of this class is the 3-part (!!!) final exam. I ended my very sweet day with a very sweet dinner. I baked some butternut squash with some apple, cinnamon and sugar. I mixed some pumpkin with vanilla greek yogurt to dip my squash and apple in. So, so good! It was so good, I didn’t miss the gluten-filled stuffed shells I made for Dave. I stuffed the shells with ricotta and spinach. That’s my trick….stuff the veggies inside so he can’t pick them out! (Then put crescent rolls on the side so he gets something he loves, with the veggies that he does not!). Time for some couch time with my very thoughtful fella! Wow! Is the weekend really over?! 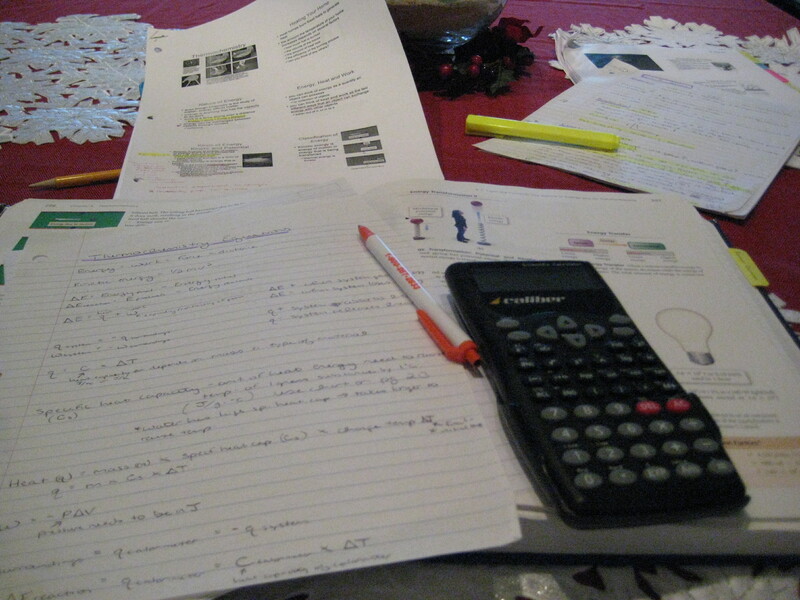 I spent about 8 hours on Saturday working on my biology assignment. About 5 of those 8 hours were on the phone with my biology-major brother. I am so grateful to him! And today I vacuumed, cleaned the litter box (Ewww! ), and then spent about 6 hours on my stats project. My sweet stat-savvy hubby helped me make sense of my data. I am a very lucky girl to have so many smart and helpful people supporting me in going back to school. I could complain about losing an entire weekend to homework and studying, but I am honestly so grateful to be doing what I’m doing and to have so much support…I just can’t complain. And even though I hate stats with every fiber of my being (dramatic, huh? ), I really am interested in biology and chemistry. And I love when I make connections between what I am learning in these prerequisite classes and the nutrition-related workings of the human body that I am excited to study….eventually! On to the food! Last night for dinner, I studied right through the initial signs of hunger. All of a sudden I was ravenous! I hate that feeling and needed to throw something together really quick! Dave took care of himself, so I threw together leftovers from Friday night. I made a big bowl of broccoli slaw “spaghetti”, topped with marinara sauce and chickpeas. I also sliced up some of the leftover polenta and baked it while heating up my spaghetti. In less time that it would take to order a greasy pizza, I made a super satisfying dinner that I am excited to make again. 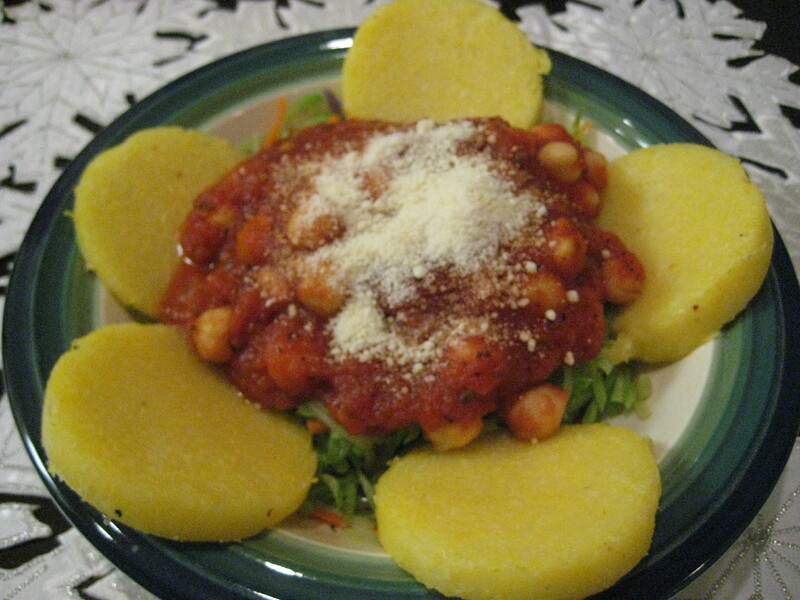 Until very recently, I had never had polenta before. Now, I absolutely love it. I had only a small bit of it left today so I sliced it up for a snach and topped it with cinnamon and sugar before baking it. Amazing! 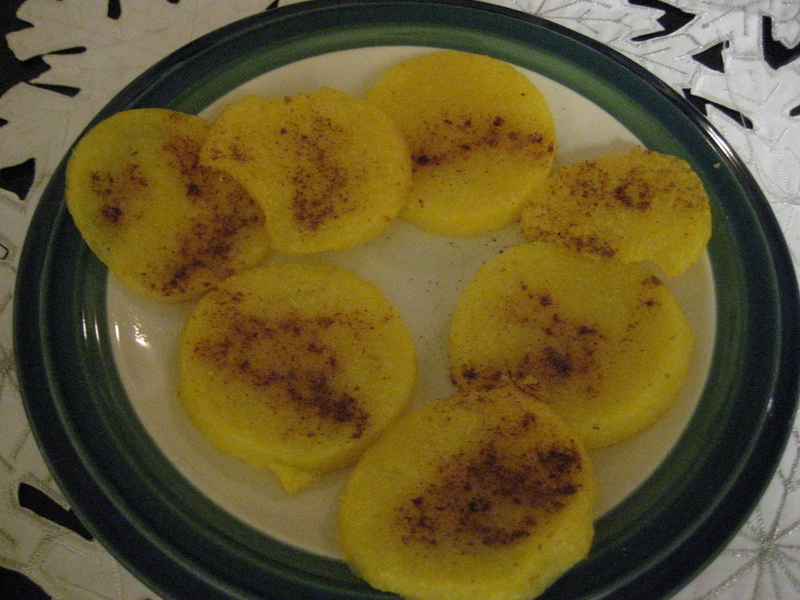 I don’t know if you’re supposed to sweeten up polenta, but it worked and I’ll be doing it again! Tonight, I planned ahead a little better for dinner so that I wouldn’t forget to prepare it and end up gnawing my arm off in hunger. While I worked on my paper, I baked up some butternut squash and carrot. In the last 15 minutes, I added chickpeas until they got slightly crispy. I would have let them get even crispier, but Dave had finished his mac and cheese and was ready to eat. I added all of my baked goodies to a plate of lettuce, tomato, and cucumber. Topped with salsa, it was soooo good! This post has taken me forever to write because I am sitting on the couch with “50 First Dates” on in front of me. I love this movie. I am such a sucker for romantic comedies, and this one is so sweet. Dave won’t admit it publically, but he’s a sucker for these movies too. We’re such a pair! I was on the move today and I got a lot done! That makes me relax a bit as I head into this very busy week. I got up early and headed down to the fitness center (after a little blog reading!). The 2 ellipticals were being used, and it was just too nice of a morning to be running indoors. It was warm and sunny! In November!! In Boston!!! I was going to do a quick 3 miles outside, until the ellipticals were freed up, and then head in to the elliptical to finish off while watching cheesey Christmas movies on ABC Family. My legs felt so good, and the perfect temperatures invigorated me. I ended up running for an hour and 40 minutes, and when I stopped, I had that feeling that I could have kept going for several more miles. I love that feeling! Unfortunately, I didn’t have my Garmin (as I wasn’t planning to run) so I don’t know exactly how far or how fast I was going. I would really like to know too because I felt like I was flying and my Polar HRM told me my heart rate was right where I would want it to me. I am guessing close to 11 miles. Not too shabby! After a quick shower, I cleaned the kitchen and bathrooms, dusted, and vacuumed. My in-laws arrive tomorrow and I want the house to look put together. Fun, huh? 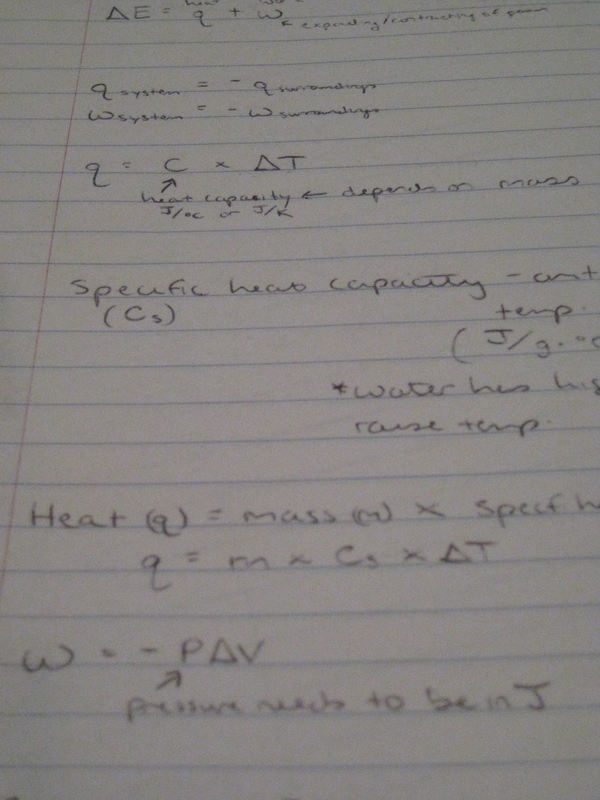 I am basically reteaching myself the last 2 chemistry chapters because it flew over my head in lecture. The test is on Wednesday….. I was really excited for dinner. My sweet hubby, who is nursing a cold right now, very kindly went to the store for me while I studied. He bought some Thomas’ English Muffins for his mom because she likes to have them for breakfast and she can’t get Thomas’ back home. Now that I have lifted the gluten restriction, I was thrilled! 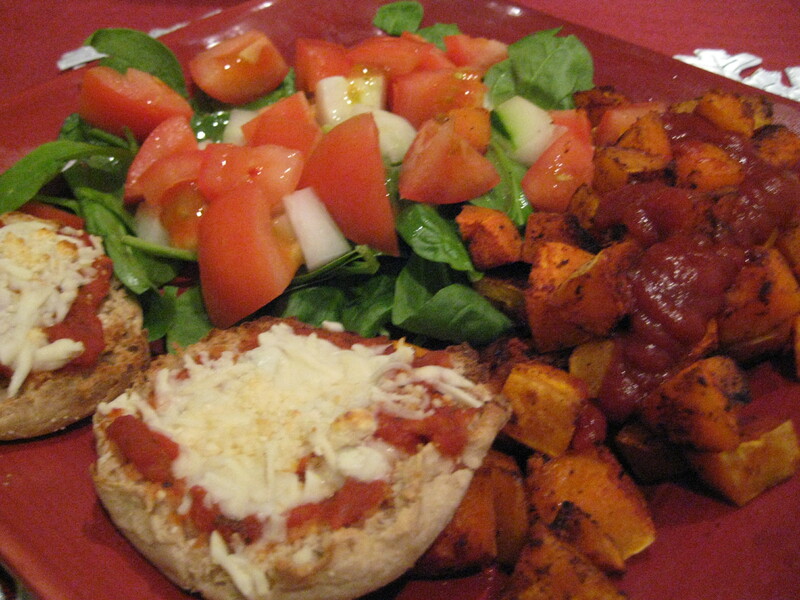 I roasted up the last of my butternut squash, made a spinach salad, and then….the exciting part….English Muffin pizzas!!! Oh, how I missed gluten! 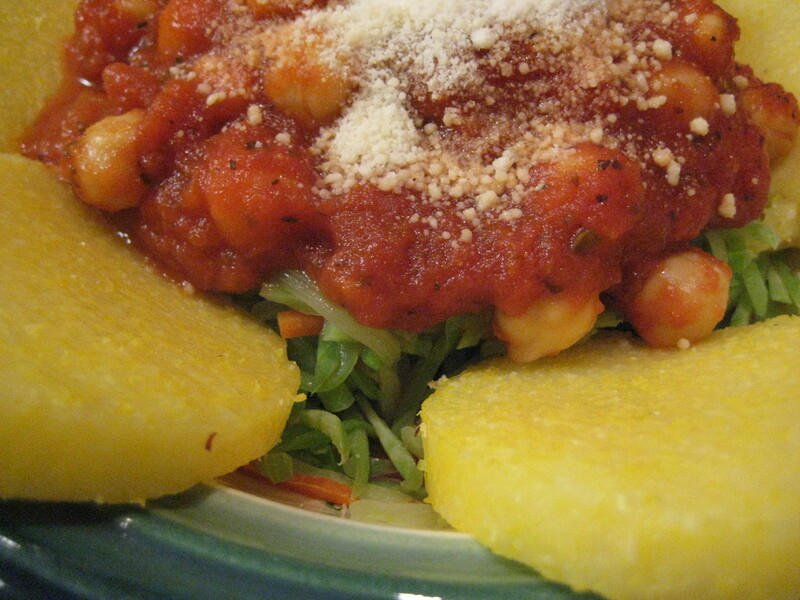 It was my only gluten indulgence today and I ate it with some good soluble fiber in my squash. It’s a silly thing to get excited about, but my craving for bread were at an all time high! Guess who got a 110% on her chemistry test?! Yep, that’s right….I’m kind of a chemistry rock star! (Dave says that makes him a groupie!) I’m being silly, but in all seriousness, it is just so validating to be doing well in the classes I had been so afraid of. It makes me feel even more that my decision to go back to school was the right one. That was the highlight of the day. The rest of the afternoon was spent trying to plod through my chem lab. Our results were off, making the interpretation questions hard to answer. But it’s Friday, and I’m done fo rthe day, so no more talk of chemistry. Let’s talk about food instead! Friday is traditionally pizza night. But since cutting out gluten, it has become less fun for me. I did find a fun alternative, which I’ll tell you about soon, but I wasn’t in the mood for that tonight. So I made a yummy, gluten-y chicken pizza for Dave, and an equally yummy, gluten-free butternut squash salad for me. This has become one of my favorite salads. 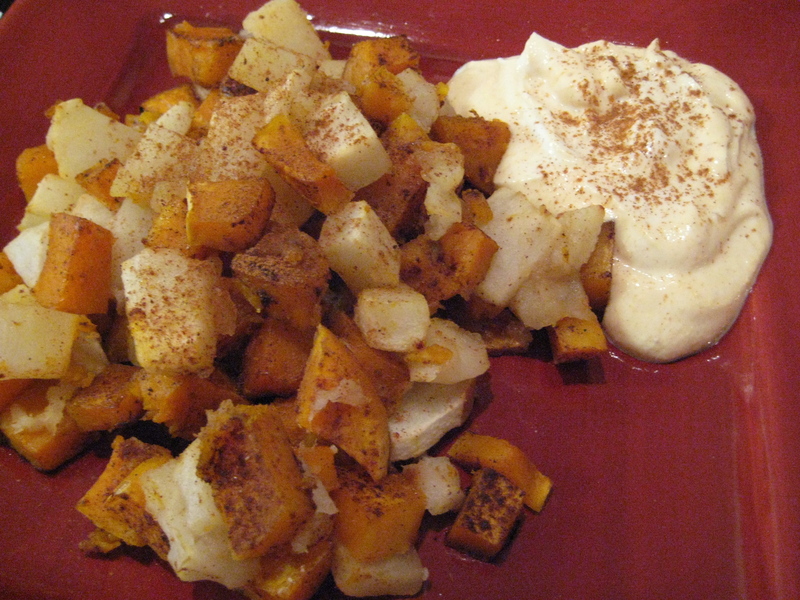 A few vegetable, cottage cheese(for protein), and a ton of butternut squash! Looks good, huh? It certainly was. But I have to be honest, as yummy as it was, I was drooling over Dave’s pizza dough. I love bread and doughy things, and I just haven’t found any doughy alternatives. A lot of gluten free breads are very dense. Not at all the doughy texture I crave. But the search continues! I wasn’t the only one drooling over Dave’s plate. This is a nightly battle. But I am happy to report that at Jackie’s vet appointment on Wednesday, we learned that he has lost a pound since his last visit! I’m ecstatic. Jack is not. He feels that he deserves some extra treats as a reward for the lost pound. Is that pitiful or what?! I am going to have to turn this blog into a food/health/fitness/cat blog if I keep posting about Jack and Rudy. But they are a huge source of entertainment in this house! Time to watch last night’s “Flash Forward”! I have been waiting all day! I’ve been sitting here staring at the screen for the last 10 minutes with no idea what to write! Does that ever happen to anyone? My school days have become rather routine. Not in a bad way, but in a I-have-nothing-exciting-to-tell-you kind of way. I spent my day studying for my chemistry test tomorrow. I’m pretty nervous. I have 4 semesters of chemistry, so I need to understand the material, rather than squeeze by, or each subsequent semester will be a nightmare. I think I’m ready, and I’ve called it quits for the night. I started my day with a tough 7 mile run. I did 9 miles on Sunday so I think my legs weren’t ready for more than 3 or 4. But I powered through and managed to do it on an incline too. I came home to vacuum, and then settled in with chemistry for the rest of the day. See what I mean…not such an exciting day. This blurry picture is a very yummy salad with lettuce, tomato, cucumber, kidney beans, and the best salad dressing ever….salsa! 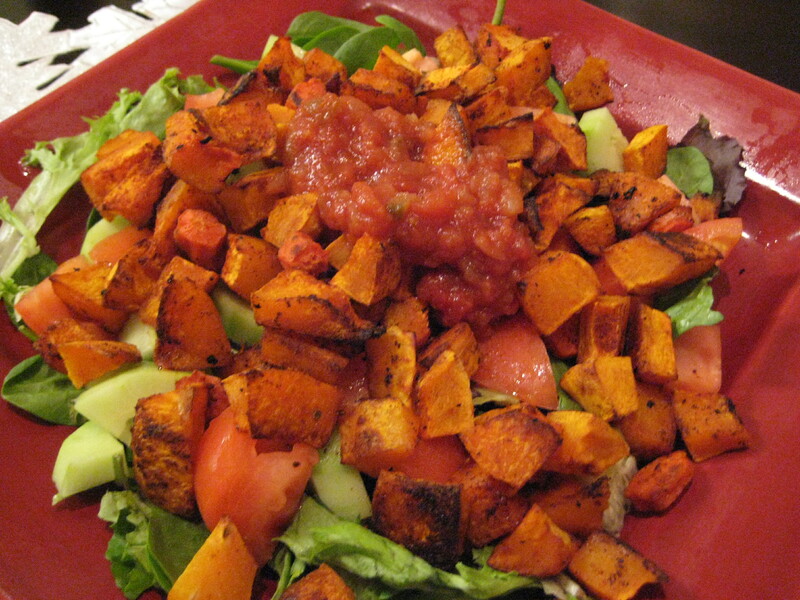 If you haven’t used salsa as a salad dressing, do it! It ties with hummus as my favorite salad topper. Dinner tonight was another breakfast favorite. I made an omelet with some left over veggies (zucchini, summer squash and tomato), with some light Swiss Laughing Cow cheese. One the side, some butternut squash fries, seasoned with Crazy-Mixedup Salt and Paprika. While slicing my butternut squash, I also sliced my thumb. So typing is a little tricky. I think I’ve corrected most of my typos, but it’s tough to type with a thumb wrapped in paper towel! I have a tendency to be a bit accident-prone in the kitchen with slices and burns….and broken glass. What was your worst kitchen injury? Time to hit the DVR with my sweetie! We are still playing catchup after Dave was away on a trip last month! Today was all about squash! I used to hate squash. My mom rarely made it because I wouldn’t eat it. Now, I am in love with it! Butternut is my favorite, but since I made the decision to cut out gluten, I have been making a lot of spaghetti squash to stand in for my beloved pasta. Lunch today was left over butternut squash from last night. 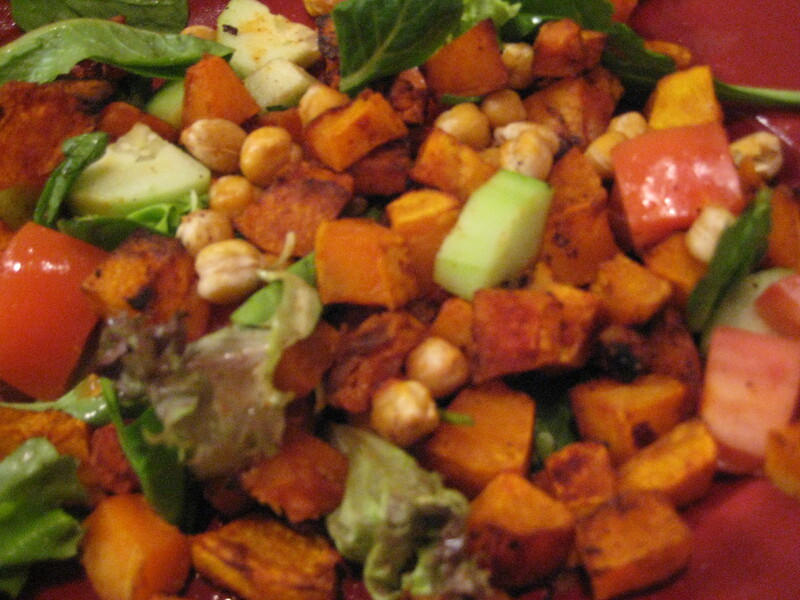 I roasted up the last bit of squash and added it to a salad of lettuce, tomato and cottage cheese. So simple, and yet, so good. I love the contrast of the cold cottage cheese, with the straight-from-the-oven squash. Dinner featured more squash! I was making Dave spaghetti with Trader Joe’s meatballs (and crescent rolls), so I made myself some spaghetti squash. I’m glad I finally conquered my fear of spaghetti squash because it really isn’t as tricky as I once thought it was. I microwaved it for a couple of minutes to make it easier to cut, then removed the seeds. After cutting it in half, I put it back in the microwave for 10 minutes, face down in a half inch of water, and covered with plastic wrap. After letting it cool enough to handle, I used a fork to remove the strands. With my “spaghetti, I made my what has become one of my favorite things…eggplant encrusted in flax seed. After peeling and slicing the eggplant, I dipped it in egg substitute and then into a bowl of flax seed, parmesan cheese, and Italian seasoning. In the oven it went for about 30 minutes at 400 degrees. The meatballs went in at the same time. A little twist I added tonight was the addition of a Laughing Cow cheese wedge. I will definitely be doing this again! After the eggplant was good and crusty, I put half of a wedge of cheese on 2 of the eggplant slices, and then added another eggplant slice on top. Eggplant sandwiches! Back in the oven they went for a few more minutes…just long enough for the cheese to melt. Dave’s dinner didn’t photograph very well, but there seems to be a demand for picture of his crescent rolls, so here you go! It’s amazing how tastes can change! My 15 year old self would cringe at a meal that centered on squash! And today I had 2 squash-centered meals! Oatmeal was another thing I hated as a kid. My mom was determined to make me like it and decided that one day each week I had to have oatmeal for breakfast. I remember dreading Wednesdays because Wednesday was “Oatmeal Day.” I would physically gag through the whole bowl of oatmeal, feeling my mom was completely cruel to be putting me through such torture. Well, she must have known what she was doing because now I love oatmeal! Then again….I didn’t start to appreciate oatmeal until long after Oatmeal Day was discontinued. I think I allowed myself to like it once I wasn’t being told to like it! I could go on and on about how my tastes have changed. Sweet potatoes are also on the list. I hated them because the only time I ate them was when my aunt forced them on me at Thanksgiving. I learned years later that the reason I didn’t like them was because I didn’t like them with the marshmallows and syrup that she prepared them with. Without the other sweet additions, I love them! Are there any foods you once hated that now top you favorite foods list? I disappeared for a couple of days! But I’m back. I had one of my college roommates stay with my Sunday night. It was so great to catch up. After so much frustration and sadness going into the weekend, I had such a great weekend. 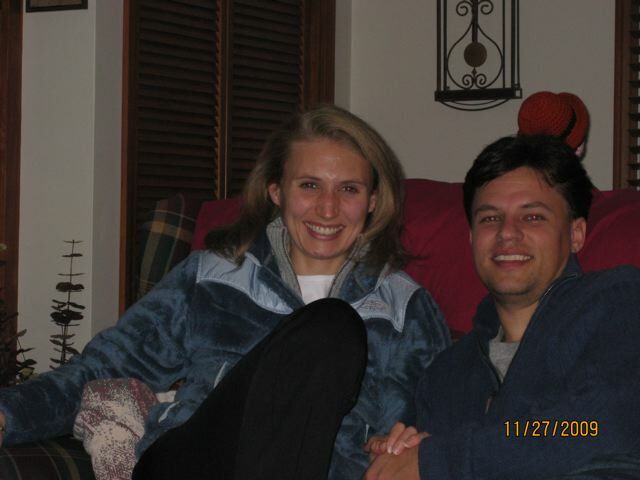 Quality time with friends and with my husband are more important to me than a race. And when Sunday rolled around and looked like this…. ….I knew I made the right choice not to run. It turned out to be a Nor ‘easter! Today I was back in running form. I did a quick 4 miles yesterday and felt good, and then today, I bundled up and pounded out 11 unplanned miles! I felt very accomplished…but not nearly as accomplished as I did once I came home and vacuumed, cleaned the bathrooms, did the laundry, finished some statistics work, and prepped my chem lab for tomorrow. Phew! This was a busy day! And it culminated in a very yummy dinner. I had some frozen wild salmon from Trader Joe’s that had been defrosting since yesterday. I love salmon because it really needs nothing to be wonderful. I sprinkled some Lowry’s Seasoning Salt on the fish and shoved it in the oven. 10 minutes later, perfect fish! 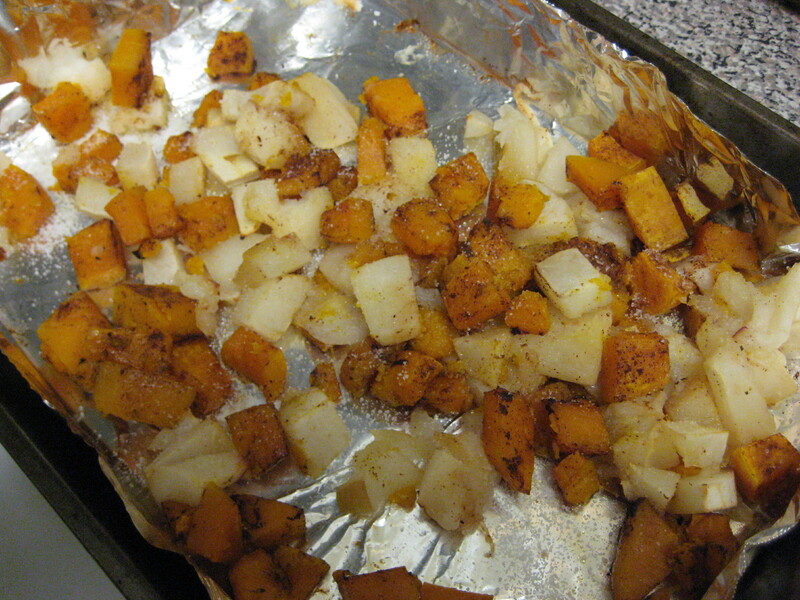 I also chopped chopped some butternut squash and tossed it with some Paprika and a tiny bit of salt. I served mine on a bed of lettuce, with tomato and salsa. Dave had his with some rice (which I always make extra of for future Dave dishes! ), and crescent rolls. He must have liked it, since he was half done by the time I was able to snap the picture! We are still playing DVR catch-up since Dave was away a couple of weeks ago. We have lots of choices for our couch time tonight. Take a look at who has decided to become a lap cat like his brother…. Jack the Cat is not going to be happy if Rudy takes over his nightly lap! 1. Check out Gina’s blog. She’s doing a great give-away after her weekend at the ADA’s Food and Nutrition Conference and Expo. 2. It’s week 2 of Project Feed Me. You can still join…. and help a whole lot of people!